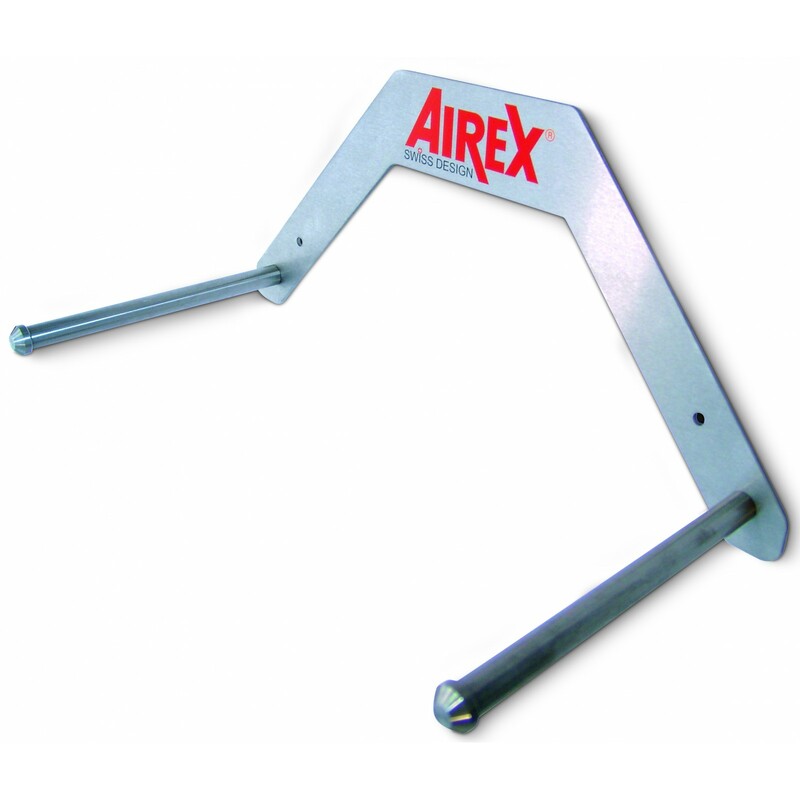 The AIREX wall mount 2 Pole offers you the possibility to store your exercise mat with eyes space-efficiently. Store your mat(s) efficiently until the next training session thanks to this extremely stable and loadable wall mount. The wall mount is made of stainless steel and can take up to 10 mats of 1.5 cm as well as up to 15 mats with a thickness of 1 cm. Here, the models Fitline, Coronella as well as Coronita are suitable. The appropriate mounting material like dowels and screws are already included in delivery.